Would you like your emotions to be a source of guidance rather than confusion? This is a 15-minute guided meditation, with the sublime music of Scott Sheerin, that will allow you to unplug from the concerns of the mind, connect to your heart and experience your connection to the common heart alive in the world around you. By receiving this gift, you will also receive our monthly newsletters. We value our community and promise to keep your details safe. What would you need to experience a peaceful death? In traditional cultures, death was honored as one of the many sacred passages of life, a doorway ushering us into the realm of the ancestors. For those left behind, grieving was recognized as an essential part of this passage, honoring and letting go of the life that was and cleansing the way for new life to come. In modern culture we have lost touch with this wise perspective on death. Fear and guilt, denial and confusion abound. This disconnection has led to alienation and tremendous suffering for those facing death as well as for those struggling to deal with the loss of loved ones. How can we return to the perspectives and practices that allow us to relate to death in a balanced way? We can challenge the taboo of death as a “morbid” or “depressing” subject and speak honestly about our feelings and experiences of death. We can recognize death as a community experience as well as an individual journey. We can accept the strong emotions that arise in relation to death and allow them to move us through this powerful transition with grace and dignity. Experience a safe container in which to explore this potent subject that can be a profound teacher for what is important in life. Explore how to be with the powerful emotions that arise in response to death – our own and others. Learn how to communicate with and be present to someone who is facing death. Find out about Funerary Rites, the rituals that are part of all wisdom traditions, and which support and guide you or your loved ones’ soul to find it’s way after death. Our feelings offer us a whole other realm of intelligence and guidance about how to respond effectively to life. However, in our culture we are taught to label certain emotions “positive” and others “negative” and we learn to subdue uncomfortable feelings or distract ourselves from them. If we are not happy we can feel that we are failing. This is the source of much of our depression, addiction, stress and illness. Feeling our emotions and expressing them in a balanced way is an essential part of a healthy life. Our emotions are an integral part of the way we listen to the world and allow ourselves to be guided, both by our cherished values, and by the Divine. Experience the resilience, fluidity and courage that come from feeling and expressing your authentic emotions. Learn how to be with, listen to, and navigate the so-called “negative” emotions of fear, anger and grief. Discover how your feelings are actually a profound form of listening to the world so that you can open to a whole other realm of wisdom. Reconnect with the authentic feelings that are the wise promptings of the heart and your essential Self. Recognize how to distinguish between the emotions that move you to respond effectively to life and those that are amplified by the desires and fears of the ego-mind. Discover how your emotions reveal your most deeply cherished values and that it is when you are living your life according to those heart-connected values that you experience happiness. We live in a time of great change and uncertainty. The turbulence of a warming climate, the polarity of our social structure, the unravelling of the fabric of community that ties us together. All this can lead us to a sense of overwhelm, anxiety, frustration or grief. What resources can we call on to be with the inevitable changes and challenges of our times? 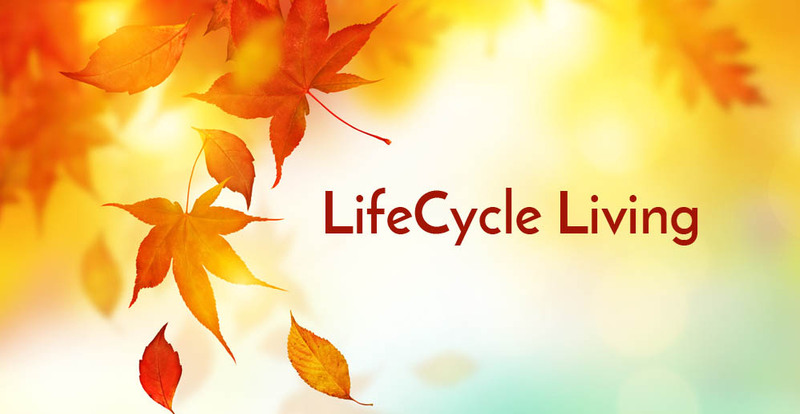 As the cycles of the seasons show us, change and transition are an inevitable and necessary part of life. For millennia the indigenous peoples and wisdom traditions of the world have had the guidance of their elders and sacred rituals to support their peoples through the cycles, life passages and radical transformations of life. These traditions all teach one fundamental truth: that our heart is the portal connecting us to the Divine; that it is the source of our wisdom and the compass by which we can navigate the inexorable tides of change. As modern people we have lost touch with our rituals and forgotten how to listen to the guidance of our heart. The Sacred Fire Communities Transitions program returns us to our own heart-knowing and provide supportive life-skills enhancing our capacity to flow with change and to align with Divine movement. Learn an ongoing practice that connects you to the heart as your compass in times of change and transition. Appreciate the power of Grief and its importance in allowing us to honor and let go of what must pass. Accept, embrace and manifest the learning that each transition offers and acknowledge the gifts that it may provide. Explore how reaching out and connecting with loved ones and community is a vital part of being supported through transition. When we respond to change in this way we make peace with the uncertainty of life, we open to the rich possibilities that each phase provides and we move into alignment with the Divine. “Prema Sheerin is a woman of wisdom. Her program is beautifully balanced with humor, wide scholarship, profound meditations, joyful movement, and deep heart. She brings a capacity for listening deeply, even between the words spoken, and responds from a place of carefully tended intuition. In her program she holds a place for healing to occur at many levels. This workshop is an invaluable exploration of life’s transitions and I recommend it most highly. Would you like the authentic knowing of your heart to be your guide? Do you feel the call to align with your heart’s vision – your true compass? We hear so much about “manifesting our dreams”. But how do you know if your dreams are in alignment with your heart’s vision and your true purpose? Many “dreams” are simply desires, born of a sense of lack, and will never create fulfilment – even if realized. It is in revealing the authentic knowing of the heart, which is always aligned with the Divine, that you find true fulfilment and joy. Discover how to entrain the mind to serve your heart awareness rather than undermine it. Let go of expectations and attachments to allow your heart’s vision to unfold with mystery and integrity. You will take away practical ways to forge an abiding relationship with your heart and be guided by it’s wisdom.